Teaching emotional literacy throughout the school day is an essential part of any social emotional learning program. Make it hands on with these task cards! 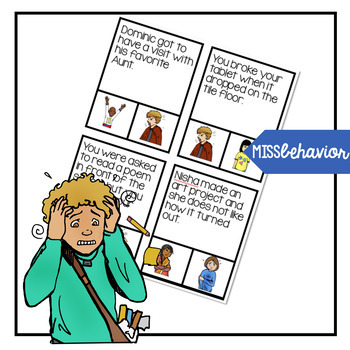 Included in this product are 32 task cards, with visuals, that prompt students to determine the emotion you might feel during a given scenario from an option of 2. Students get to answer in a hands on way, with dry erase markers or clothes pins, making the task more than just a flat activity. These task cards are great for independent work, center based instruction, social skills groups, task boxes, and more! 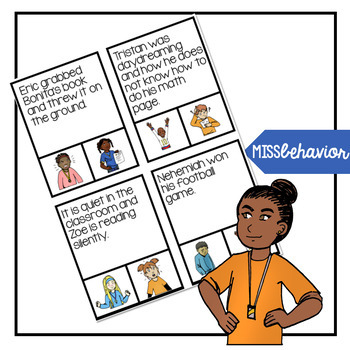 While these task cards can reach a wide range of learners, in order for them to be completed independently, the student must have moderate reading skills. 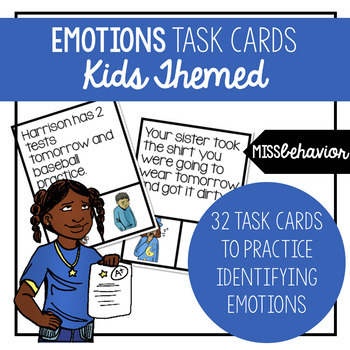 These task cards use clip art of kids depicting different emotions. The scenarios are basic scenarios that are common across school, home, and community settings.